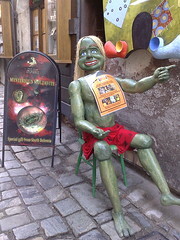 A museum where visitors can enjoy up to 300 unique exhibits of puppets in various themes such as historical legends, the South-Bohemian wedding, the Vltava´s water-nix with a drowned man, bandits from the deep Blanský forest and Šumava, etc. 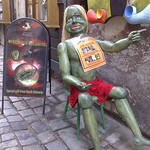 The puppets have been borrowed from the Náprstek Museum of Asian, African and American Cultures in Prague, and some date back to the early 19th century. It is a perfect place to bring children, where they can play at the puppet stage. The building also houses an art-gallery, wine cellar, a sculpture atelier, an open-air sitting place and meeting rooms that are often used by local artists and residents.